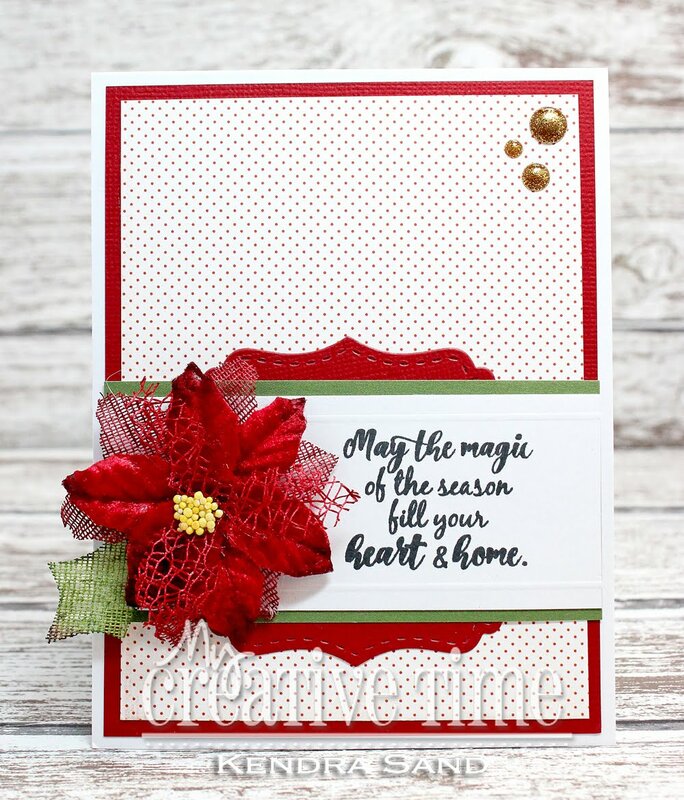 GOOD MORNING my sweet friends & welcome to our 3rd & final day of sneaky peeks from our 85th Edition Release!!! Everything that my team & I are sneak peeking this week will be available for purchase starting this Friday, November 16, 2018 at 8am PST! "Just a Little Something!" 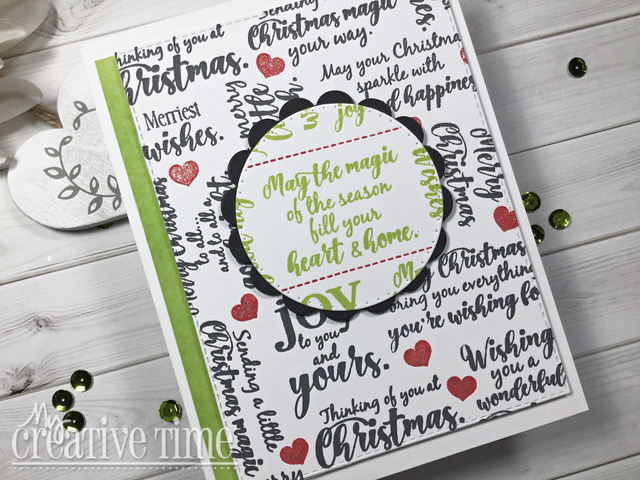 The sentiment I used is from the new set we are showcasing today witch is "Christmas Wishes!" I hope you ALL enjoyed our 3rd & final day of our sneaky peeks! 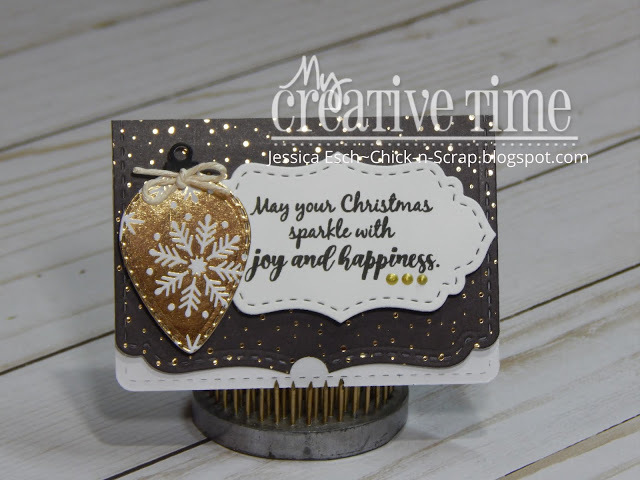 Don't forget to join us back here tomorrow for an AMAZING blog hop just giving you even MORE inspiration using everything we showcased this week! ALSO, everything we showcased this week WILL be available for purchase tomorrow morning November 16, 2018 at 8am PST HERE. When you shop tomorrow, don't forget to use the code NOV2018 to get 15% off of your entire purchase! Good Morning Miss Emma....OH My Goodness Your Little Tag is so Adorable and Precious!! 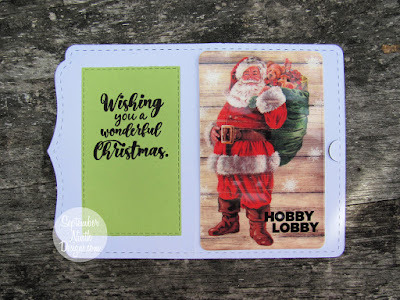 Love your Peeking Santa...He does have the cutest face ever...Great coloring job and always love how you share more brilliant and ingenious ways to use all of your Amazing goodies...Love the sentiment and the is so beautiful!! Can't wait to see ALL the sentiments in "Just a Little Something" !! Wishing you a Fabulous day...feel better my friend! YOU SO ROCK!! It is an awesome stamp set. It is always nice to have many sentiments to choose from. 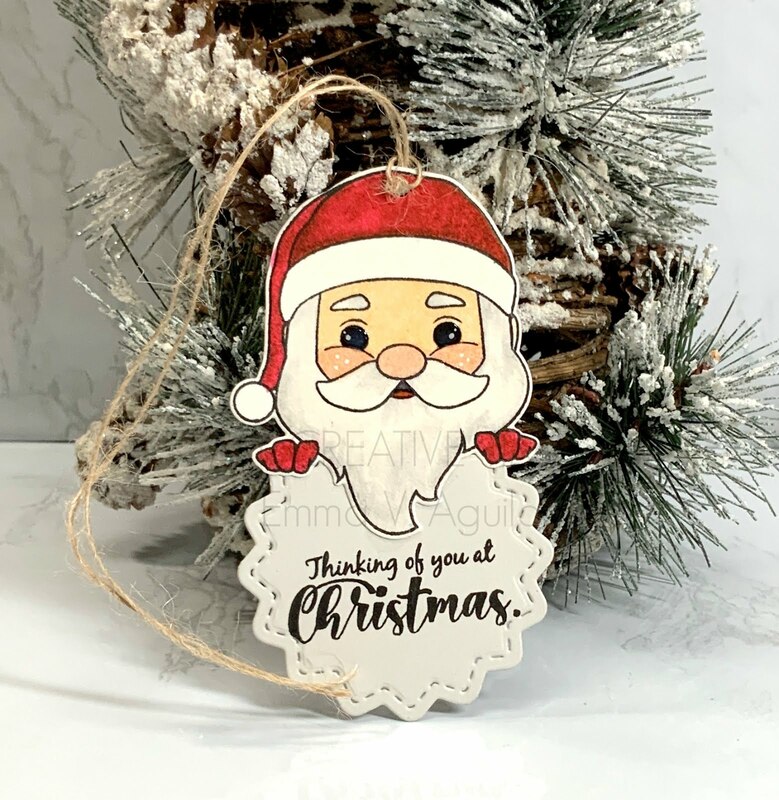 Cute Santa tag and I like new sentiments. Not just a tag but an ornament after! I love this. Can't wait to see the whole sentiment set tomorrow. I have, especially for the inside of a card. So creative and inspiring. Thanks for sharing. Hope you feel better and those fires stop. I am so happy I finally had a chance to stop by this week and check out this new release! I am in love with the sentiments that were shared by you and the designers. So perfect for Christmas. Your project is absolutely darling! 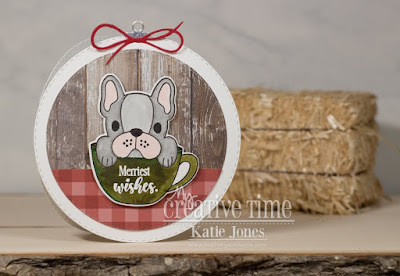 Such a fun festive tag you created. I hope you get feeling better soon. I am always in need of more holiday sentiment stamps!! This set looks fabulous and I love the font in the sentiments! Your Santa tag is just adorable! Wow, that is an awesome set of sentiments for Christmas. Your tag is adorable! Oh my goodness, this release is so darn cute. What beautiful sentiments. 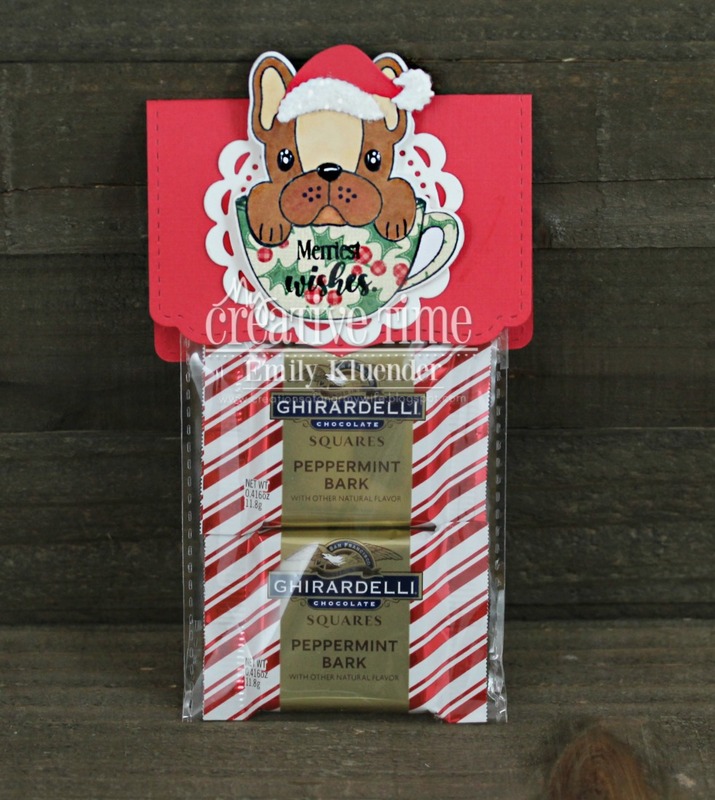 Your Santa tag is adorable! 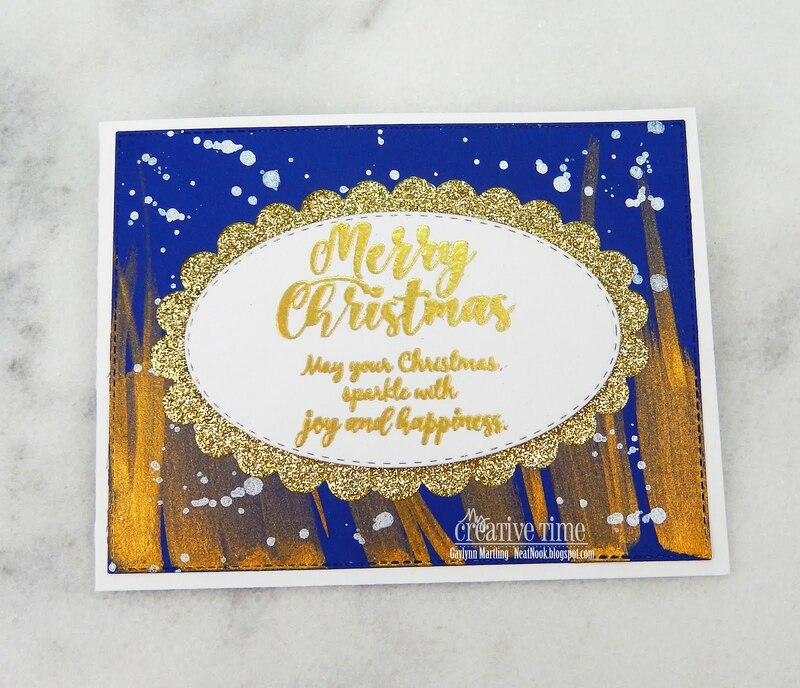 I love the fonts and sentiments...you can't have too many ways to say Merry Christmas! The team had many ideas and beautiful projects. What a fun release...I am looking forward to using it! The sentiments showcased are marvelous. Thanks for the shares. I had fun hopping yesterday and today's projects definitely adding more fun!!!! Somehow, I can never have enough Christmas sentiments. Can't wait to see them all! I’m in love this whole weeks “sneaky peaks”, everything is so stinkin’ adorable! This gift card holder die is going to be my new go to dies because it’s going to get excessive use all year round. So sorry about all the destruction and loss of life from the fires in California, it’s truly heart wrenching to see the burned charred areas. The Smokey air is tough on your respiratory system, I live near the Columbia Gorge that was on fire last year during the summer heat that was started by teenagers playing with leftover fireworks, it was horrible. Remember to change filters in your house and your cars. Stay safe.